Bangladesh were handed a humiliating 151-run defeat in the first Test against Zimbabwe at Sylhet. Bangladesh opener Tamim Iqbal, who suffered a wrist injury during the 2018 Asia Cup opener against Sri Lanka which ruled him out of the tournament, began his first training session at the academy on Thursday. Iqbal, who had a session with cricket balls for the first time after his injury, was striking the ball well and many believed that he could be declared fit for Bangladesh’s second Test against Zimbabwe which begins on November 11. Bangladesh were handed a humiliating 151-run defeat in the first Test against Zimbabwe at Sylhet and Iqbal’s inclusion could come as major boost to the batting department which failed miserably. Physio Chandramohan’s presence during the training session raised fuel to speculation that Iqbal may just make it for the second Test with the selectors engaged in an emergency meeting with head coach Steve Rhodes near the premises. However, Iqbal quashed all rumours. “I have started batting against spin and the dog-stick. I haven’t faced any major pain, but since there’s a bit of weakness in my hand, particular shots give me a bit of pain. Once we do some strength work, the weakness will go away,” Tamim was quoted as saying by Cricbuzz on Thursday. “Today is probably the third day that I am batting. I haven’t had a full net session. There’s a lot of difference between playing 130-140 kph and playing against spin and the dog-stick. As of now, things are looking very positive. In the next three days, there’s going to be a full net session after which I can tell where I am at,” he said. Iqbal is targeting a return to the side for the home series against West Indies which begins with the first of the two-Test series on November 22. Both teams will then play three ODIs and as many T20Is, with the first one-day international beginning on December 9. The three-match Twenty20 Internationals begins on December 17. “Very less chance to play the second Test because I don’t think I can. I am not ready. I don’t think the physio will even permit me. It has just been three days of semi-batting, what I am doing right now. Unless I start full-fledged nets, it won’t be fair for the team from my part to declare myself fit. Tamim is positive Bangladesh will bounce back in the second Test. “100 per cent they will bounce back. 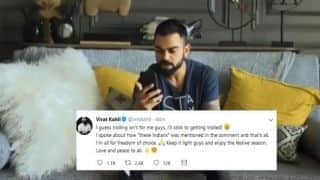 The team and I know that we didn’t play our best cricket. We are a much better team than this. It is a fact that we haven’t performed in Tests like we have done in ODIs. I don’t think any of our team members we have become a very strong Test team. “But it is also true that we have started to play better Test cricket than five years ago. We have defeated two of the best sides in the world. Our West Indies Test series wasn’t good at all. Our graph in Test cricket hasn’t gone as high as we’d liked,” he said. 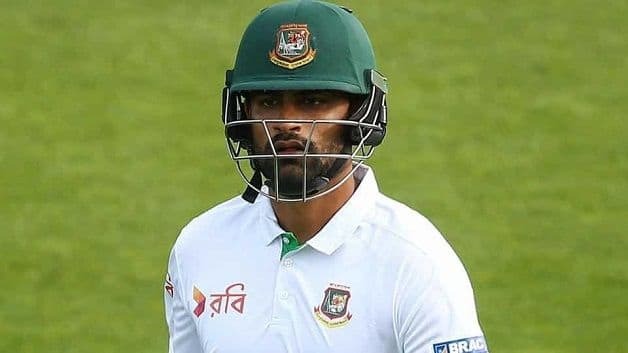 He disagreed with skipper Mahmudullah‘s statement after the opening Test wherein he said that Bangladesh, who have not won a game in their last eight Tests, should not play Tests. “I don’t agree with him [Mahmudullah] but it is also true that we never expected to be beaten by Zimbabwe. People get shocked in these situations. They get disappointed and start to blame each other. Riyad bhai making that comment is probably one of those things. It probably came from frustration. He wanted things to be different as a captain. “We all know how much the players are working to get better in Tests. But when we don’t get results, it is sometimes quite frustrating. We will play better and bounce back against this and other opponents. I believe we are strong enough to take it positively and look forward,” he said.